Welcome to a BRAND NEW series on the channel called “Say yes to Anime”! My buddy SixteenBitOG has NEVER watched anime. I finally convinced him to watch anime with me, BUT with one stipulation: It has to be about sports! 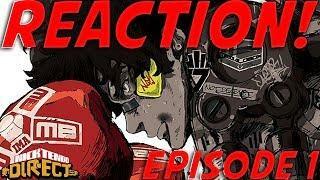 So we are starting with Megalo Box! Enjoy!